Water supply system consists of infrastructure that collects, treats, stores, and distributes water between water sources and consumers. The purpose of distribution system is to deliver water to consumer with appropriate quality, quantity and pressure. Distribution system is used to describe collectively the facilities used to supply water from its source to the point of usage. 1. Water quality does not get deteriorated in the distribution pipes. 2. System is capable of supplying water at all the intended places with sufficient pressure head. 3. It should be capable of supplying the requisite amount of water during firefighting. 4. All the distribution pipes are preferably laid one metre away or above the sewer lines. 5. It should be fairly water-tight as to keep losses due to leakage to the minimum. The distribution pipes are generally laid below the road pavements, and as such their layouts generally follow the layouts of roads. Pipelines are underground, but on the surface valves can be seen and they provide a clear picture of existence of the water infrastructure. The performance of WASCO with regard to NRW levels is seen to be improving in general based on the picture that the trend-line is presenting showing a reducing trend. This is largely due to targeted pipe replacements that occurred during the year. Bursts and leakages are repaired when they are visible and have been reported by customers. The other method is use of leak detection specialists who check all pipes on a regular basis. To be able to determine how much water is lost in specific parts of the network, we have commenced a project of splitting the network in hydraulically discrete zones and the inflow to these zones is then then be measured. By computing the volume of leakage in each zone, leak detection specialists can better target their efforts. • The volume of NRW (the difference between DMA inflow and billed volume) can be calculated on a monthly basis. • The components of NRW (physical and commercial losses) can be quantified by analysing flow and pressure data. • Leak detection works can be prioritized. • New pipe bursts can be identified immediately by monitoring the minimum night flow, and therefore awareness time will be reduced from several months to several days (or even less). 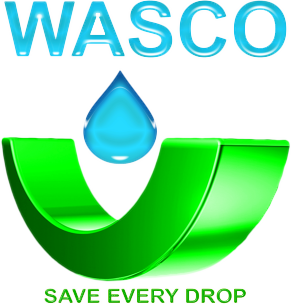 • When leakage is eliminated, WASCO can better gauge the existence of illegal connections or other forms of water theft and can take action.